Stockton Criminal Defense Lawyer Tai C. Bogan has successfully defended over 1,000 persons accused of crimes in the San Joaquin County Courts. The San Joaquin County Courts include the main courthouse at 333 E. Weber Street, Stockton, California, but also the outlying courts in Manteca, Tracy and Lodi. If you have been charged with a crime in Stockton or the surrounding area, you need an attorney. If you cannot afford an attorney you need to request the Public Defender to assist you. If you can afford an attorney you should look for an attorney who has trial experience in the court where you are charged with a crime. If you hire an attorney your best bet to either getting the case dismissed, reduced or a not guilty verdict from a jury is to employ an aggressive and experienced criminal defense lawyer. Lawyers with The Bogan Law Firm, A Professional Corporation have the experience to navigate your case through the criminal justice waters in Stockton and surrounding areas. Most of the attorneys in the Stockton area agree to a flat billing rate for their services. That means you pay one fee which was agreed upon before you sign the contract with the lawyer. However, some cases are better suited for an hourly billing rate. A new attorney's rates are generally lower than a more experienced attorney who has a better reputation in the community. Some firms advertise fees as low as $695, while most charge substantially more. A fee of $10,000 or more is common for many felony cases. An attorney does his best to determine how much work may be involved in a case and quotes their rates accordingly. Attorneys with The Bogan Law Firm, A Professional Corporation prefer to meet with their client and their family when evaluating their case. The firm prides itself on bringing skilled criminal defense and aggressive representation. The Bogan Law Firm, A Professional Corporation offers people accused of crimes in Stockton defense in several areas of criminal law. Whether a felony or misdemeanor our firm can handle it. We zealously represent our clients who are charged with the following types of crimes. 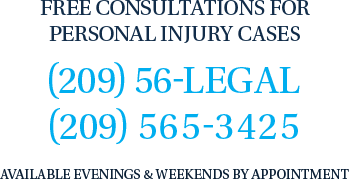 Whether you are looking for a seasoned trial attorney to aggressively defend you at trial or a keen negotiator who can get you the deal you are looking for, you should contact the Bogan Law Firm at 209-565-3425.